CONSTANTINOPLE — The letter to Ecumenical Patriarch Bartholomew from the Ukrainian Autocephalous Orthodox Church (UAOC) will be reviewed at the session of the Holy Synod in Constantinople on September 28, 2009. UNIAN-Religion reported that General Secretary of the Holy Synod of the Ecumenical Patriarchate Archimandrite Elpidophoros Lambriniadis informed the publication “Kommersant-Ukraina” of this. After the session of the Holy Synod, a delegation of the Ecumenical Patriarchate will come to Ukraine for further review. “No decision will be made fast or spontaneously. We are planning the visit of the Patriarchate’s delegation to Ukraine for the beginning of October. During the visit there will be a meeting between representatives of the Holy Synod and Metropolitan Mefodiy (head of the UAOC), where the given question will be discussed, after which we will make a definitive decision,” said the archimandrite. The Ukrainian Orthodox Church-Kyivan Patriarchate (UOC-KP) responds the same way to the letter of Metropolitan Mefodiy. "We really doubt that Patriarch Bartholomew will accept the UAOC under his omophorion, the more so since it is a small Orthodox jurisdiction,” said the head of the informational-publication department of the UOC-KP Bishop Yevstratiy (Zorya). He believes that the UAOC’s appeal to Constantinople was influenced by the head of the Russian Orthodox Church’s visit to Ukraine. 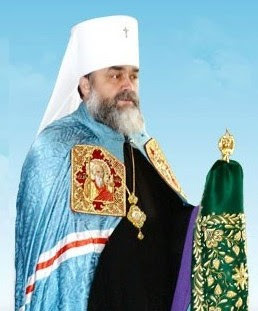 “After Kirill’s visit to Ukraine, the UAOC understood that Moscow will not support the creation of a national church in Ukraine, so they again focused their attention on Constantinople,” feels Bishop Yevstratij. 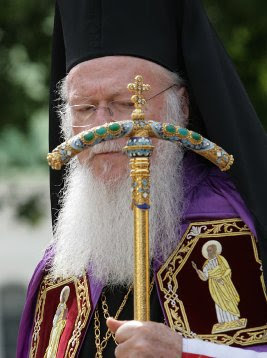 As RISU reported, on August 26, 2009, the Hierarchal Synod of the UAOC sent an appeal to the Ecumenical Patriarch Bartholomew with a request to accept the UAOC into the jurisdiction of the Ecumenical Patriarchate with rights of autonomy.